The TriRite Adjustable Footrest is a lightweight, sturdy, and easy-to-adjust footrest that offers adjustment angles of 10°, 20° and 33°. This range of adjustment can help support the user's feet and legs at the optimal position to maximize comfort while working. 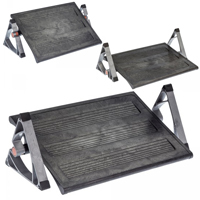 The TriRite is a non-locking footrest which means that the user is able to tilt the platform to encourage circulation if desired by pressing with the balls of the feet and/or moving the feet to a higher position on the platform. When the heel is near the bottom of the platform, unintentional tilting of the platform is unlikely to occur without a concerted effort to press down hard on the balls of the feet. The footplate rotates around a central axle and users can simply nudge the end supports with their feet to adjust the default footplate angle. 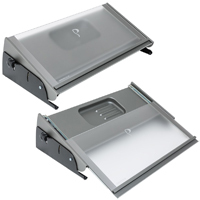 This eliminates the need to crawl under the desk to adjust the footrest angle. The 11 Degree Wedge from Posturite provides a distinct degree of elevation to the hips, tilting the pelvis forward and bringing the spine into a correct alignment. The wedge offers an 11° slant, making it a good option for those who desire a clearly discernible increase in elevation at the back of their seat. The greater thickness of this wedge (3.5" at the back, 0.75" at the front) makes it a good choice for use in chairs that have a deep depression at the back, or with automotive seats that have compressed from extreme use. 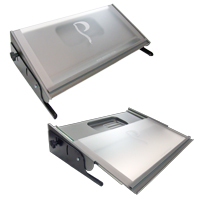 Users requiring a lesser degree of tilt or cushioning may find the Posturite Slimline Wedge a more suitable selection. The Positiv Plus Ergonomic Office Chairs from Posturite feature extensive adjustment options, ensuring they can meet the needs of a wide range of users. The foundation of the Positiv Plus is a high quality heavy steel seat mechanism which offers users easy access to seat height, back angle, back tension, back lock, and seat depth adjustments. 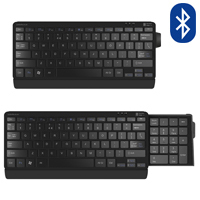 The cushioned armrests offer easy tool-less width adjustment as well as simple height and depth adjustments. 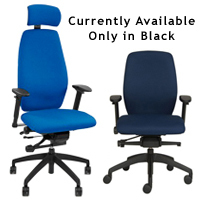 Both the seat and back feature high quality fabric upholstery over a firm, supportive foam base. 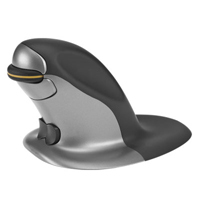 The Positiv Plus backrests have over 3" of height adjustment (lockable at 9 positions) and are equipped with an inflatable lumbar panel so users can fine tune lumbar support to their personal preference. Positiv Plus chairs are designed for functionality and longevity. Combined with a classic design, simple operation and adjustment options to meet the requirements of most users, the Positiv Plus Ergonomic Office Chairs can offer years of worry-free comfort. 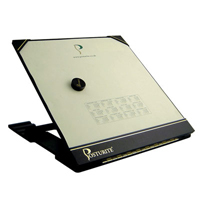 The Slimline Wedge from Posturite is designed to provide a slight elevation to the hips, tilting the pelvis forward and moving the spine into a correct alignment. The wedge offers a 6° slant, intended to meet the needs of those who require a marginal improvement in angle. 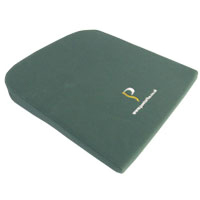 Suitable for use on most chairs or seats, the Slimline Wedge is comprised of a firm polyurethane foam and has a hard-wearing velour cover which can be easily removed for washing. The slim design of this wedge (2" at back, .75" at front) also makes it a good choice for use in vehicles where headroom may be limited, making thicker cushions impractical. 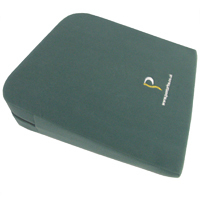 Users desiring a greater tilt or cushioning may find the Posturite 11 Degree Wedge a more suitable selection.